Public Security Minister calls on Twitter to close accounts of terror groups, threatening 'legal and criminal' action for failure to do so. 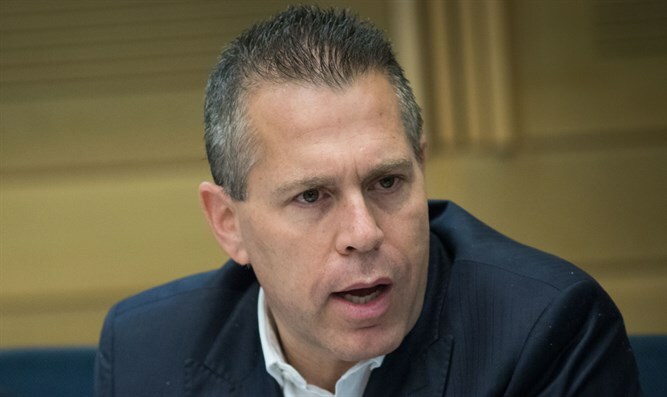 Public Security Minister Gilad Erdan has written a letter to top Twitter officials, calling on them to shut down the Twitter accounts of designated terrorist organizations. “I am therefore turning to you in order to demand that you immediately shut down the Twitter accounts of designated terrorist organizations responsible for the murder of thousands, namely accounts belonging to Hamas, Palestinian Islamic Jihad, Hezbollah and their leaders. “Enabling terrorist organizations to operate freely and spread their messages via your platform may be a violation of existing Israeli law regarding providing support to terrorist organizations. In addition, Israel, like numerous other countries, is currently advancing legislation that will place penalties on internet companies that do not comply with requests from law-enforcement and judicial bodies to remove terrorist content. “I have been informed by the relevant bodies in the Israel National Police and the Ministry of Justice that Twitter, unlike other social media companies, has largely been irresponsive to requests by the Israeli authorities to remove terrorist content and shut down terrorist accounts. As a result, terrorist organizations have been increasing their use of Twitter as a preferred means of spreading their propaganda, as they are able to operate openly with little to no interference. As just one example, Hamas, a US-designated terrorist organization, has operated an official English-language Twitter account since March 2015. Erdan concludes by attaching a “partial list” showing about twenty links to Twitter accounts, each affiliated with either Hamas, Palestinian Islamic Jihad, or Hezbollah.